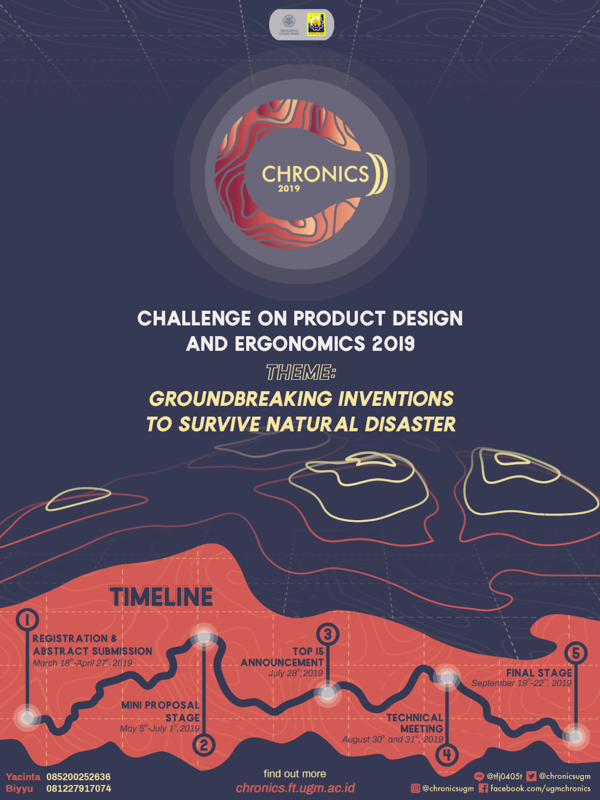 CHRONICS, the most anticipated Product Design and Ergonomics Competition among undergraduates in Southeast Asia is here again to challenge all the creative minds out there! Are you one of them? If you are, prepare yourself to join this annual Product Design and Ergonomics Competition held by Industrial Engineering Student Association (HMTI) of Universitas Gadjah Mada, give your best ideas and get the chance to showcase your products in Yogyakarta, Indonesia! "GROUNDBREAKING INVENTIONS TO SURVIVE NATURAL DISASTER"
Are you brave enough to take the challenge and show how your ideas might change the world and save thousands of people? Don't miss this opportunity! Find us on our social media! 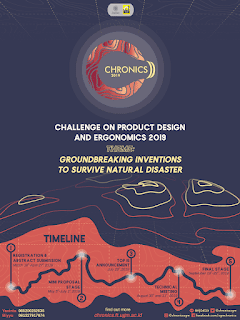 0 Response to "CHRONICS 2019 (CHALLENGE ON PRODUCT DESIGN AND ERGONOMICS)"